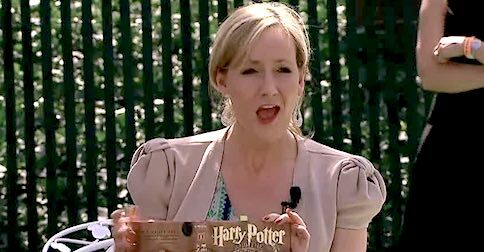 It’s almost a year since I discussed here the announcement of the play Harry Potter and the Cursed Child. More specifically, I considered the possible pronunciations of the word cursed. The verb form cursed is pronounced as one syllable, rhyming with first and worst. But the adjective cursed may be given a more old-fashioned pronunciation in which -ed belongs to a second syllable, as in blurted and spurted. My post included a poll allowing readers to vote for the pronunciation they preferred. Nearly three-quarters opted for the two-syllable version. This week in London the first previews of the play took place, to an ecstatic response from fans. 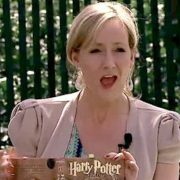 Harry Potter’s creator J. K. Rowling has asked audiences to keep the play’s secrets, but one cat is now out of the bag: the official pronunciation of cursed is one syllable. As I explained in my more recent post First class box sets, t may be lost whenever one word ends st and the next starts in a consonant, giving us many examples like firs’ class, las’ week, nex’ time, jus’ kidding, box’ sets, and now curs’ child.